The first major Browser (what's a browser?) War was initiated in 1995 by Microsoft's Internet Explorer (IE) to take on the then dominant Netscape Navigator. IE's share of the browser market peaked at 95% in 2002 as Microsoft bundled it with the Windows operating system. Things have changed, in fact if you watch this video that shows browser share from 2008-2014, you'll see that Google Chrome is now the most used browser in the world. Also see these statistics. Why does this matter? Well your browser is your window into the Web and browser companies can influence, sometimes in subtle ways, how you use it. For example Google pays Mozilla, who produce Firefox, to make Google the default engine and Microsoft of course makes Bing the default in IE. Want to know what to do with social media? Or do you just want to integrate it better with everything else you do online? Most social applications allow you to automatically connect your post or tweet with other media or simply show your latest stuff on your Website. Reply to this email or contact us if you want to know more. Google's success with their browser Chrome mimics their overall Web dominance and it's a tribute to how they approach such applications. The main reason most people, at least initially, went to Chrome was the fact that it was a stripped back, clean interface and easy to use with search integrated into one entry box. Sort of what Google initially bought to the search engine market way back in the late 1990s when people searched from google.com - all they saw was a search box. 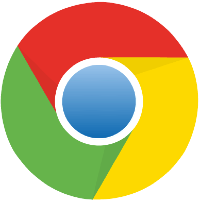 What are the other reasons Chrome dominates now? It's an open source project like Firefox, but Chrome has the might of the Google behind it. With Chrome you’ll have the same extensions and browser history across various devices as long as you're signed into a Google account. Over the past couple of years the other browsers have caught up with Chrome in many ways. Microsoft have announced they are replacing IE with Spartan, Safari and Firefox now look very similar so Chrome's ascendancy is not necessarily long term. It doesn't mean you need to change because you're not using Chrome but just be aware it's probably the best browser out there, at the moment.